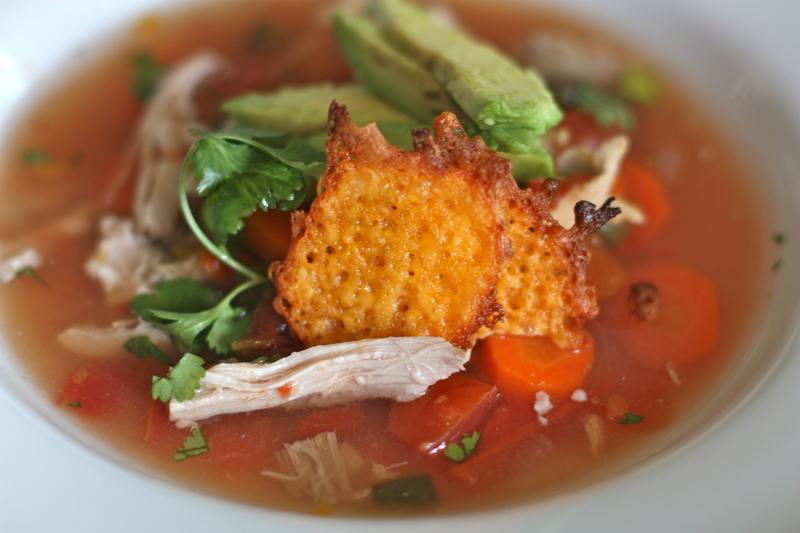 Here's a soup that can be thrown together in a cinch and is full of bold Mexican flavors. The best part about it is that it simmers in a crockpot all day so it's cheap, easy, and no fuss! Pasilla peppers are fairly mild if you remove all of the seeds. They give the soup just a hint of spice and a distinctive flavor. If you would rather just use leftover shredded chicken without the bone, then substitute low sodium chicken broth for the water. You may also need to adjust the salt depending on how salty the broth is that you use. I felt like I was missing the crunch of a tortilla chip crumbled on top, so I baked a few pinches of cheddar cheese in the oven until they created a crisp chip. It added great flavor, and the crunch that I was looking for. Serve all of the optional toppings on the side so your Paleo friends can chose what they want to put in it. For SCDers, go ahead and load it up with black beans, cheddar cheese chips, avocado, and even a dollop of SCD dripped yogurt it you'd like! Place all of the soup ingredients into a crock pot, except for the lime juice and cilantro. Cover and cook for 6 hours on low or 3 hours on high. Remove the chicken and use 2 forks to shred the meat from the bone. Discard the bones then return the chicken to the pot. Add in the juice from 2 lime and the chopped cilantro. Continue cooking for up to 8 hours, or until you’re ready to serve. Using your fingers, place about 1 tablespoon of shredded cheddar cheese in a small mound on a parchment lined baking sheet. Repeat until you have your desired amount of chips. Bake the cheese mounds at 400 degrees for 5-7 minutes. They will spread out flat and start to brown on the ends. Remove from the oven and let them cool for 10 minutes. 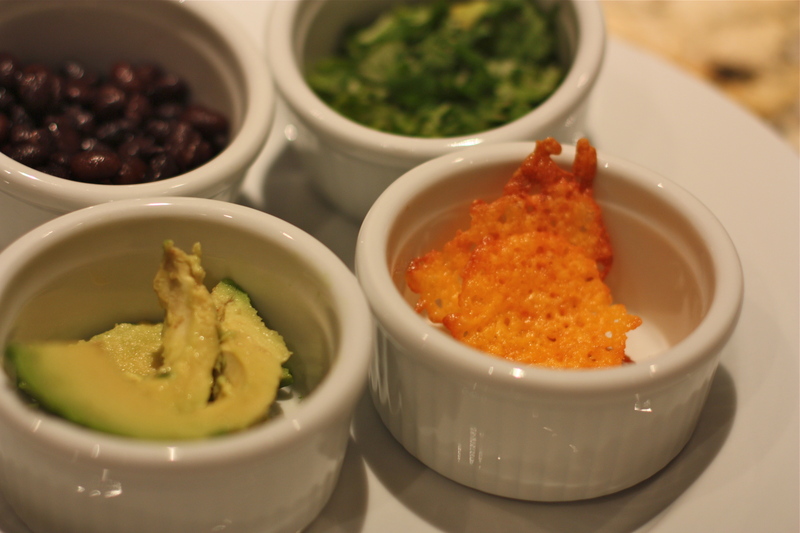 Serve the soup with the cheese chips, black beans and sliced avocado on the side.